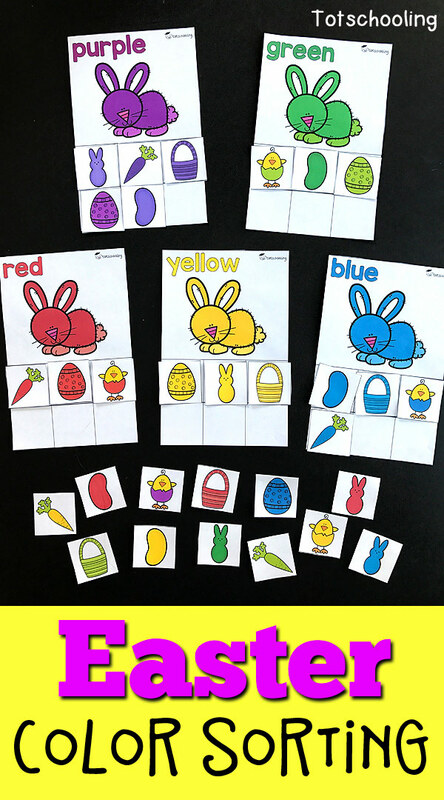 Toddlers and preschoolers will love this Easter themed color sorting activity where they can sort many holiday items while learning colors and building vocabulary. Features bunnies, eggs, carrots, baskets, peeps, jelly beans and chicks. 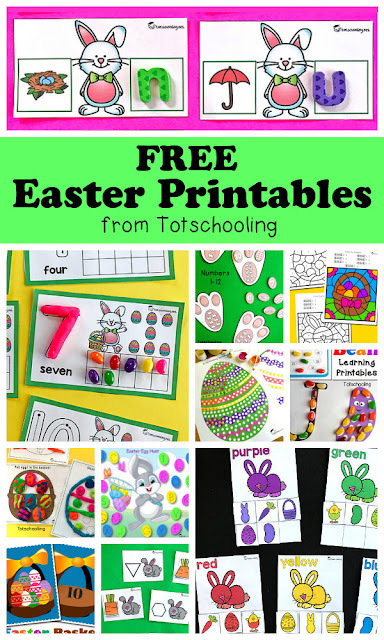 This FREE Easter themed color sorting activity includes 10 color categories, along with 6 different holiday related pictures to sort. thank you so much for all your hardwork ! its so nice of you to be willing to share those to us for free! GOD BLESS YOU!